The Rimini Marathon is back on April 30, 2017, a sports event, at the fourth consecutive year, that bring together agonism, fun and charity. Since 2014, the Rimini Marathon grew in numbers and in the success of the public, so much so that last year it was in the top ten of the marathons in Italy for the number of arrivals at the finish line. For 2017, therefore, the Marathon aim for the record number of participants, exceeding the 1,602 athletes last year, trying to bring the race in Rimini among the top five marathons in the country. The other races that will be proposed again in this edition are also very popular: the Tenmiles+OneMoreOne (16 km, 876 registered athletes) and the amatorial races open to all, such as the Family Run (9 km, 2,510 registered athletes) and the Kids Run (2 km, 805 children). 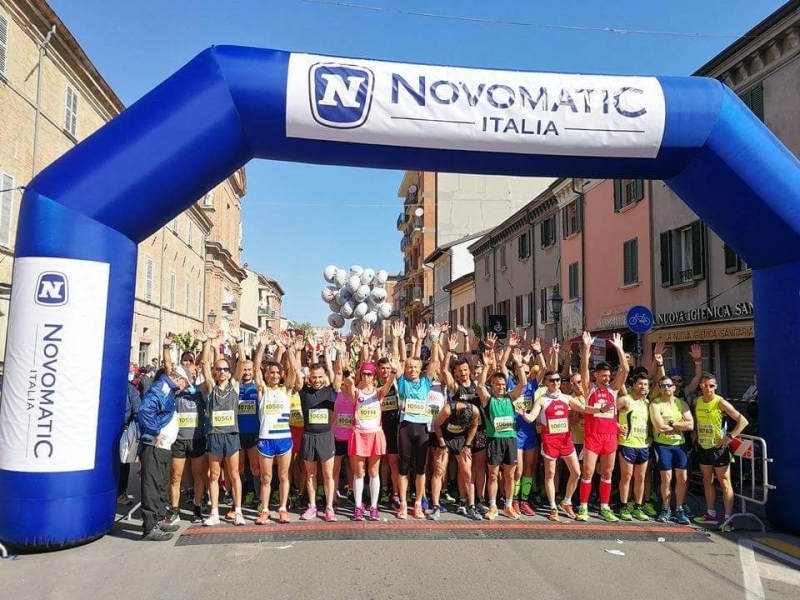 NOVOMATIC will take part in the event as main sponsor and will run with a team of runners who will oversee the main races, from 42 km up to the Family Run. The Rimini Marathon has associated its name and its initiatives to charity since the first edition, hosting the National Meeting of Pushers Wheelchair, an event that has become an integral part of the event. This year "Ruote sui miei passi" is the soundtrack recorded for the event, composed and interpreted by the singer-songwriter Vigù. The song - whose copyright will be donated to the project - will be sung by Vigù before the start and accompanied by a video clip with the participation of the mayor of Rimini Andrea Gnassi, the deputy mayor Gloria Lisi, the assessor Gian Luca Brasini and striker Alex Buonaventura from the Rimini Soccer Society. Thanks to its charity program, Rimini Marathon has raised 5,110 euros for local non-profit organizations: this year it was decided to support in particular "Rompi il silenzio", a Rimini association against violence against women. This edition also marks the debut of the twinning between Rimini Marathon and Rimini Soccer, the local tea team in League D. For one morning, the white and red players will take off their athletic shoes to wear their running shoes, pushing the wheelchairs participating in the marathon for the first 100 metres. The ball (autographed by the team) with which the bomber Buonaventura scored 4 goals against Meldola will be offered for auction: the revenue will be donated to the project Pushers Wheelchairs.